It's the most mythic of all American emporiums - and the scene of many an ultimate fashion fantasy. 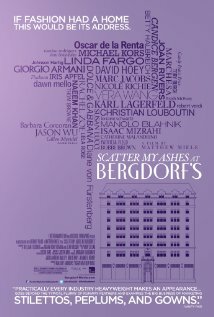 Now audiences get a rarified chance to peek behind the backroom doors and into the reality of the fascinating inner workings and fabulous untold stories from Bergdorf Goodman's iconic history in Scatter My Ashes at Bergdorf's. Taglines: If fashion had a home, this would be the address.